We have been established since 2002 and are based in Devizes, Wiltshire. We deliver Chartered Management Institute (CMI) qualifications in Management & Leadership and Professional Consulting and Institute of Leadership & Management (ILM) qualifications in Coaching & Mentoring. With over 16 years experience in training and development across a wide range of business sectors and organisations of all sizes, we can help you achieve CMI and/or ILM qualifications. We can train you via distance learning or through delivered courses; the choice is yours for whatever suits you best. We are also ELCAS approved for HM Forces service leavers looking to use Enhanced Learning Credit funds to gain recognised qualifications during career transition. 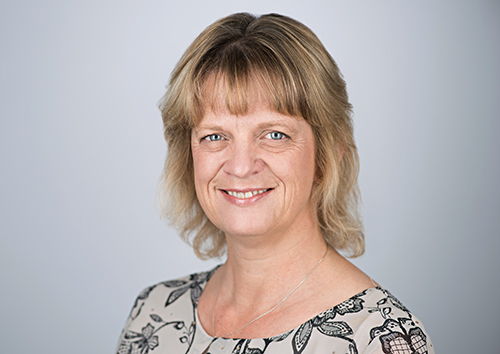 Clare works closely with a wide variety of clients to design and deliver specialist training in coaching (including ILM qualifications) for beginners through to advanced skills such as NLP. Clare is an NLP Master Practitioner and trainer and delivers NLP programmes up to Practitioner Level. She is a very well regarded executive coach, trainer and speaker in a wide variety of organisations and is part of the VISTAGE speaker network. Barrie Smale MA CMgr FCMI FCIPD FInstLM - For over 20 years Barrie has been involved in the design & delivery of a wide variety of accredited and non-accredited development programmes to a diverse range of clients across different sectors, both in the UK and overseas. He is BPS Level A & B qualified and licensed to use MBTI, MiRo Behaviour Modes & the Hay Leadership Style Inventory. In many industries, long-term job security is a thing of the past and the workplace as we know it is changing rapidly. As an employee, you need to remain at the forefront of your sector and show yourself to be flexible, professional, competent and well qualified. As an employer, you too will be aware of the need to invest in the development, training and welfare of your employees if you want to attract and retain the best individuals. This is where we can help. The most important thing for us all is customer service and personal regard for everyone we with work with. We really do care and as a result, are proud of our reputation and client relationships. Every member of our trusted team is highly qualified, with a wealth of demonstrable managerial and commercial experience behind them. Whatever support you need, someone within our highly skilled team is likely to be the right ‘fit’ for you. Whenever you contact us, you will receive genuine, transparent advice that puts your best interests first. If we honestly feel that one of our qualifications programmes is not quite right for you, we’ll help you find something else that is. Whether you choose to learn in a face-to-face or distance learning capacity, you will receive the same personal, flexible, tutorial support. Then we can help you use your resettlement ELCAS funds to pursue one of our nationally recognised qualifications and boost your civilian career transition prospects.